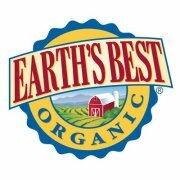 Earth's Best Products Are Certified USDA Organic, Kosher Certified, Made With Whole Grains & Contain No GMO's! They Make A Variety Of Products Like Whole Grain Pizza, Toothpaste, Chlorine Free Diapers & So Much More! My Children Are Big Fans Of Earth's Best Organic Foods, My Daughter Can Even Point Them Out On The Isle At The Store When We Go Grocery Shopping! As An Earth's Best Organic Blogger I Am Often Sent Healthy & Delicious Foods & We Happily Welcome Them Into Our Home! March's Box Contained Yummy Tummy Oatmeal Which Is Now Made With 25% More Fiber & 25% Less Sugar Than Before! My Daughter Loves Pouches So She Was Thrilled To See Greek Yogurt Smoothies In Flavors Like Banana, Cherry & Apple Along With Sweet Potato & Beets Pouches! We Are Always On The Go & The Pop Snax & Happy Snax Make Great Snacks For Trips To The Park Or Snacking In The Stroller! 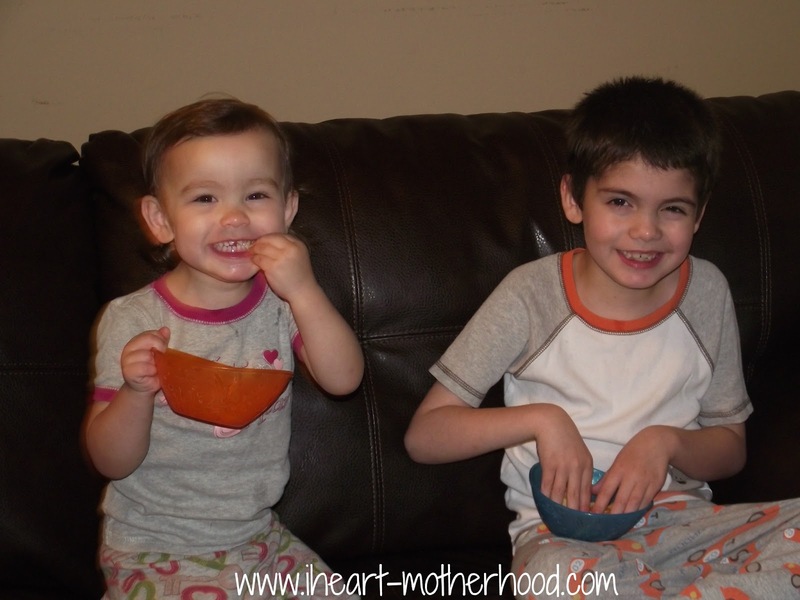 Big Brother C Loves The Organic Apple Sauce & Has Been Enjoying It With His Lunch At School! One Of My Favorites Is The All Natural Nursery Wipes, These Are Great To Have Around The House & Can Be Used On Car Seats, Strollers, Toys & More! Enjoying Some Yummy Organic Crunchin Crackers! 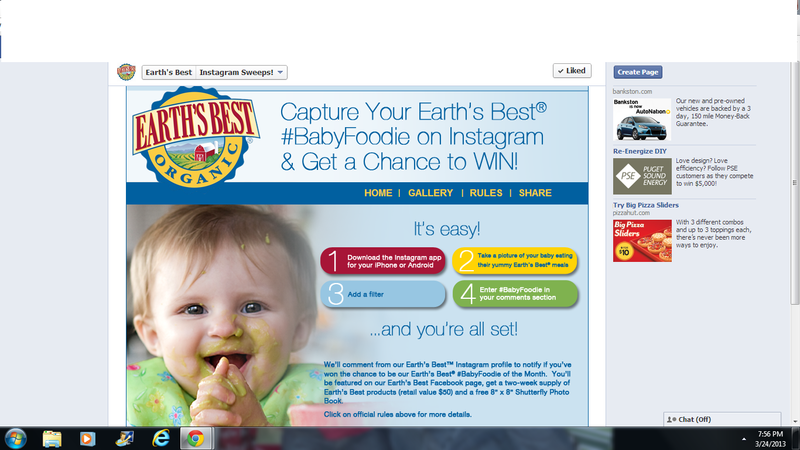 Earth's Best Wants To See Your Baby Enjoying Earth's Best Organic Meals! Take A Picture With Instagram, Use The Hash Tag #BabyFoodie In The Comments Section & Your Baby Could Be Chosen As The #BabyFoodie Of The Month! 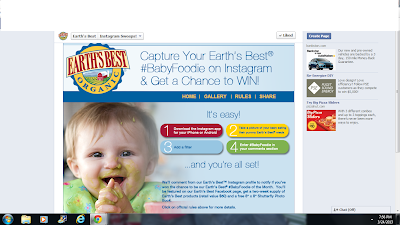 If You Are A Winner, Your Photo Will Be Featured On The Earth's Best Facebook Page & You Will Receive Earth's Best Products (Retail Value $50) & A Shutterfly Photo Book! Connect With Earth's Best Organic On Facebook & Twitter! LOVE Earth's Best! This looks like an awesome package - love that they're using less sugar!